Panama Coffee Traders (PCT): the new sourcing and export company of Wilford and Wilford Lamastus Jr. of Finca Elida. Catuaí and Geisha, Washed and Naturals. This visit proved to be a bit early ‘in the season’ for cupping, although mid-March isn’t typically early in Central America. One major reason for this comparatively “later” harvest period is that the farmers we are buying from, along with many more in the Boquete valley, are growing their best coffees at higher and higher altitudes, in part due to climate change. Ronaldo, who has been working with coffee farming in Boquete over three decades (most notably at La Hacienda Esmeralda) is unequivocal about the average temperature noticeably increasing upward over the years. Rain patterns have also been changing; there is later or irregular rain, leading to “irregular” flowering and harvest periods. The harvest period is now starting in December lasting in August, with the main harvest period going from February through April. The farmers in Boquete are incredibly competitive and they have long been rivalling one another in growing Geisha trees at the climactically highest altitudes possible. Early on this meant exceeding 1900 meters above sea level, then 2000 and today, ‘high’ has increased to 2100 masl. What was once not even considered possible is now happening, due both to competition and climate change. What’s next? Regardless of temperature or climate change, the Geisha plant is a sturdy one once it has settled. But it is also delicate and slow growing in terms of producing fruit worth calling a harvest. These factors, along with the high altitudes, the fact that Geisha cultivation requires seven to eight years or more of careful husbandry, the necessary wind protection, nourishment, and waiting, all culminate in the Geishaendeavour requiring great investments in time and all other imaginable resources. The coffees themselves are becoming more elegant, whether wet processed or other. I think that when it is well done, Geisha might be one of the best varieties to make naturals from. I’m not saying that natural processing makes for a better cup than washed per se. But the best version of this variety and this method is showing its best and true attributes here. These Geisha naturals showcase the processing method in such a way that makes for both complexity and balance: they have all the floral notes and structured acidity, together with all the sweetness, body, and juiciness that a 94-points kind-of-coffee ought to have. During the weekend of my visit, La Hacienda Esmeralda was celebrating its 50th Anniversary. The farm started with dairy production during the late ‘60s, moved into coffee soon afterward and is today strong in both fields. In the coffee world, Esmeralda is The World's #1 most recognized farm for Geisha coffee. After all, it was the Peterson family that discovered it. Who even spoke about Geisha before the Best of Panama competition in 2004? Happy 50th Anniversary, La Hacienda Esmeralda! Big congrats to the Peterson Family. Earlier, I mentioned Ronaldo who has been working with the Peterson family since 2002. He arrived when they bought the now-famous plot on the Jaramillo hillside where the first Geisha trees were discovered. Back then, Geisha trees were being harvested from an altitude range of 1450 to 1650 masl. Much has changed since then. Esmeralda continues to dry their lots on cement patios and in mechanical driers. There has been little innovation there. Their meticulousness, however, is unquestionable, along with their coffees’ cup results. As a matter of fact, I have yet to see the same consistency in results from other markets. I’m thinking particularly about colleagues from across the border in Costa Rica, who claim theirs are the best practices when it comes to drying naturals and ‘honey’ coffee on raised African beds. I’m wondering whether these methods truly make a difference. What are the cup-profile correlations? And what are the long-term effects of a given method? 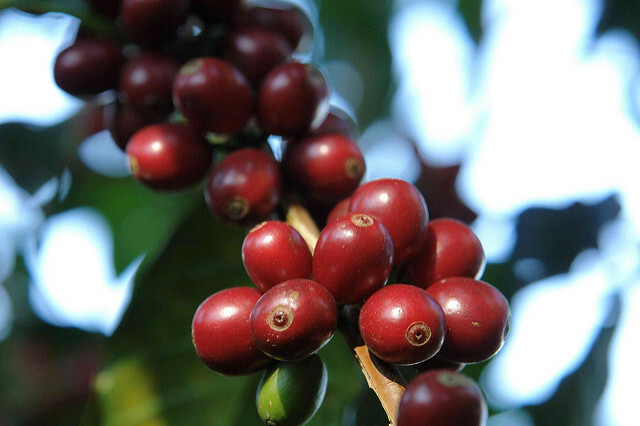 How well does the processed green coffee keep its quality? Speaking of processing and cup quality, Wilford Lamastus of Finca Elida told me he is growing more and more skeptical of de-pulping machines (i.e. eco-pulpers). He thinks it is obvious that the pulper’s physical strain on the parchment, including the centrifuging of the mucilage, is damaging the coffee-in-parchment to an extent that is limiting the quality potential of the coffee both in the cup and over time. While I understood his evidence as anecdotal, I think it is worth following up. Wilford now processes his best coffee without de-pulping. Rather, the skin is removed using good old-fashioned fermentation and washing techniques, which he calls hand washed coffee. I like that. This classic process uses more water, so for this is a problematic trend (if it becomes one, again) in terms of environmental considerations. On the other hand, and this became clear to me later in the conversation with Wilford, the other motivation for taking the cherry-skin off carefully is to preserve the skin as well as possible so he can make the best possible cascara from it. Some good news for the same environmental analyses. 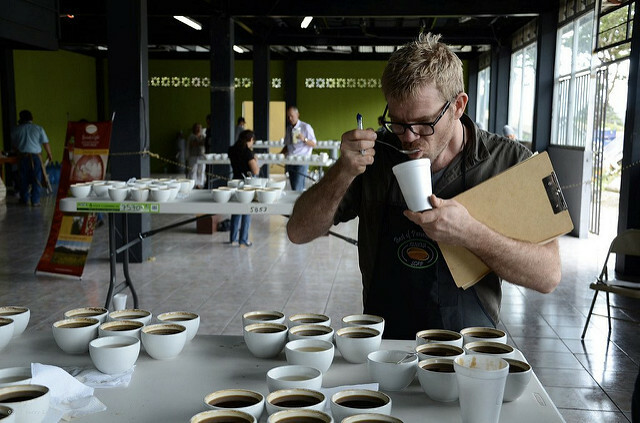 Elida’s lots, both washed and natural, are generally cupping great, with scores ranging from 86 to 89 points (the family might have scored them higher). There were only a few scoring a disappointing 84 points and then the family knew something had gone wrong, whether in the drying or in the roasting. There were also cups that were (un)questionably winey, but then again, these are spot-on for other buyers’ preferences. So it goes. Like those winey flavors in your naturals and want more? You’ve got it! The Elida approach to servicing a market, by designing flavor, is something we are seeing in other places in the coffee world too. Wilford is adamant about this approach being a pragmatic one. From his perspective as a craftsman, the ‘secret’ lies in the drying of naturals. For those that want a cleaner cup with less mature-fruit driven flavors, he will suggest a faster dried coffee cherry: one dried on a hotter surface; using thinner layers; with more sun exposure and more raking; over 5-7 days. Done! For a fruitier cup for other markets, he will deliberately do a slower drying by using raised African beds, thicker layers, less shade or less direct sunlight, turning just once a day, with a two-week drying time, or more. Beyond the yearly ritual of cupping with Rachel (at Esmeralda) and Wilford & Wilford Jr. (at Elida), I learned a few things about how Boquete producers strategize their production and sales, even designing profiles of their lots to meet various markets. It has been evident for years that Boquete is the home of Geisha in quite literal, as well as statistical senses. There is a tremendous amount of Geisha plants being grown, whether it’s the re-planting of existing farm land, or new plantings. The Lamastus' farms alone will plant 45,000+ trees this year, which is on par with their growth last year. Given the time it takes to see any noticeable harvest, production levels aren’t going to explode any time soon. The Petersons, easily already the biggest Geisha farmers in this community, continue to buy land and grow trees at a formidable rate. They do so in no rush and with no cutting of corners. The family work with coffee based on solid investments and farm work. I often think that we owe a great deal of gratitude to the fact that it was this family, and this community, that discovered Geisha. Had it been somebody else, what would they have done? Would the field have advanced to where it is today? Auctions continue to be a thermometer and a regulator for the price setting of Geisha coffee, although, going from astronomically high prices of $300+ per pound, to more down-to-earth levels of $30/lb and below speaks clearly, in dollar value terms, that not all Geisha lots are ‘worth' the same. At BoP and at Esmeralda’s very own auctions, the lots are very competitive in quality. For example, Esmeralda is not auctioning any lot under 88-points. This means that when they sell their Private Collection, it is a blend of 86-88 points, which is not a bad deal, considering that one does not need to bid for it. Farmers delivering to and succeeding at Best of Panama know that they cannot expect to sell their non-auction 86-point Geishas at +$30 per pound. While I think these price-structures are interesting and well deserved, we must realize that there is a new economy in coffee that is separate from and totally different than the rest of the coffee market. Like in any other well-functioning economy, knowledge is power. In Boquete, cupping is key, and the best farmers in this town are also the best cuppers, competing with their customers in knowing the most about what’s on the table. When these coffees meet an educated market, offered by empowered farmers, it is a quite beautiful battle. One that is ‘fought’ on equal terms. Elida sells its Catuaí cascara for $3.50/lb and its Geisha for $10/lb. Power! This year, the Lamastuses introduced me to their Panama Coffee Traders' (PCT) program for sourcing and buying lots from neighbours. This company was started with the aim of finding buyers good and sold Boquete coffees that are at a lower price-point. While my visit proved to be a bit early in the season, I still cupped some lots and have asked about places, people and potential for future relationships. I scored one non-Geisha from PCT at 86 points and the highest scores were between 86.5 and 87-points but both were Geisha. Well, the season isn’t over and symptomatically of climate change and coffee growing at higher altitudes, the BoP which used to take place in Early-April is now happening at the end of May. Hopefully you, the buyer, will accept these realities and not fill up your inventories with other Central American coffees, while Boquete coffee have not yet been harvested.